This set is called "Pipe Dreams". The font used is 'Antique'. This set uses tables to maintain image & text alignment. 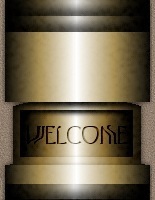 The sidebar navigation consists of a TOP PIECE which includes 'Welcome', a CONNECTOR PIECE with the 2 little side pipes, a NAVIGATION MAP made up of top, bottom & individual buttons. The background image of the cell in which the navigation panel is placed is a single graphic which just appears multi-buttoned. 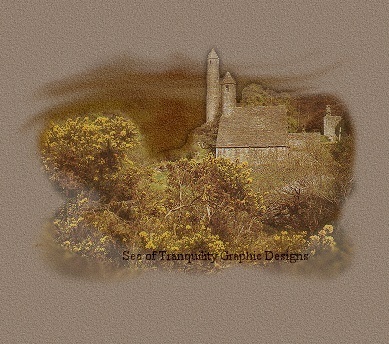 The background is a small repeating tile & an image of Glendalough round tower, near Dublin, Ireland. Some of these images were created based on tutorials by Pinoy 7.